Hey Friends, here's a cool opportunity to get involved with one of the country's finest marathons! We're looking for volunteers to help with the Arsenal Island portion of this great event that spans 5 races, 4 cities, 3 bridges, 2 states and 1 island! 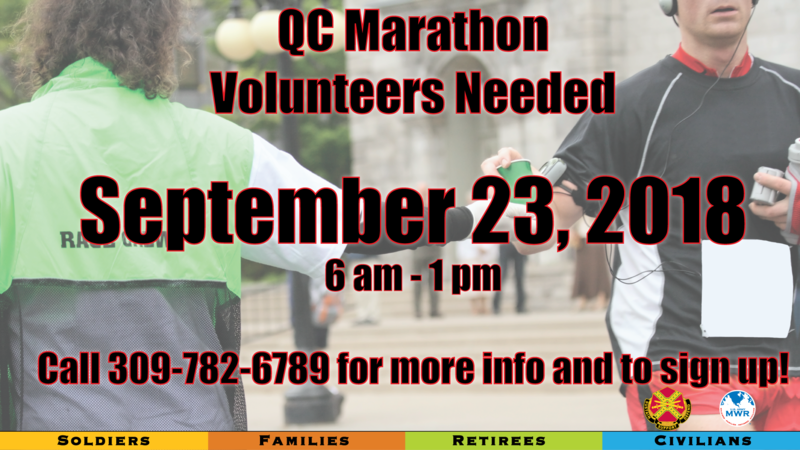 Call the Fitness Center at 309-782-6787 for more info and to sign up to volunteer.